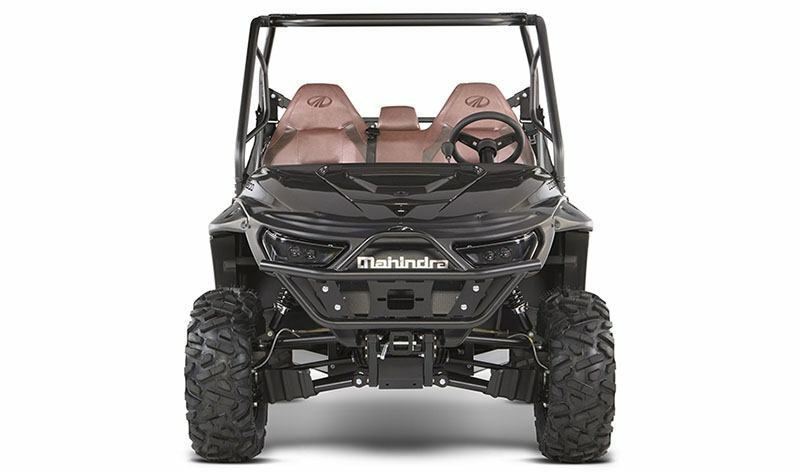 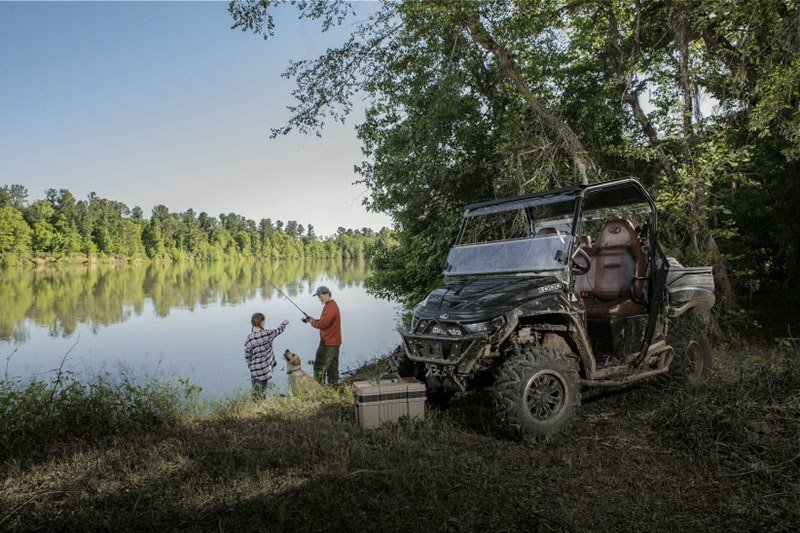 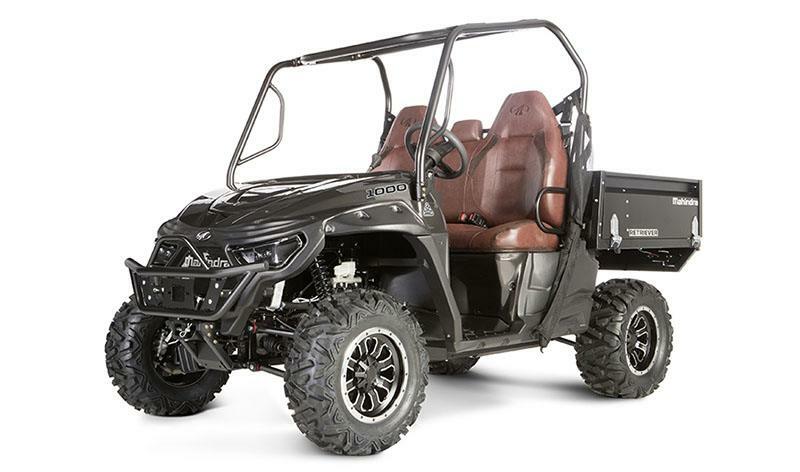 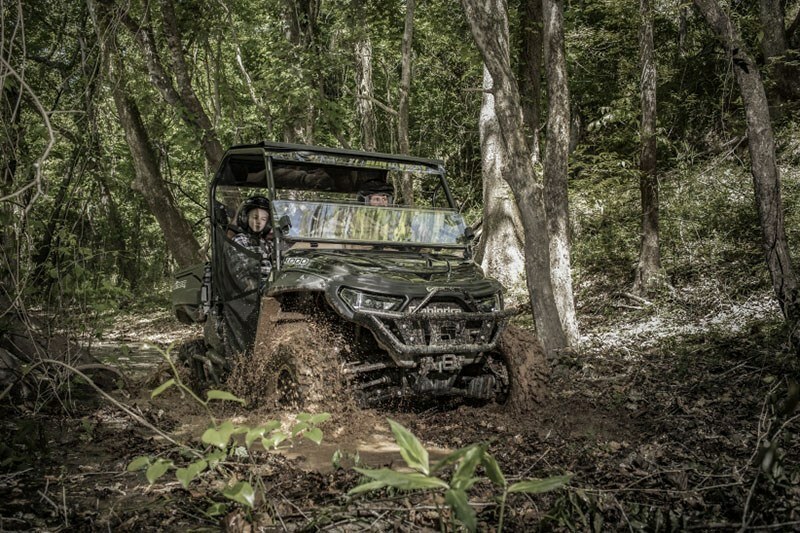 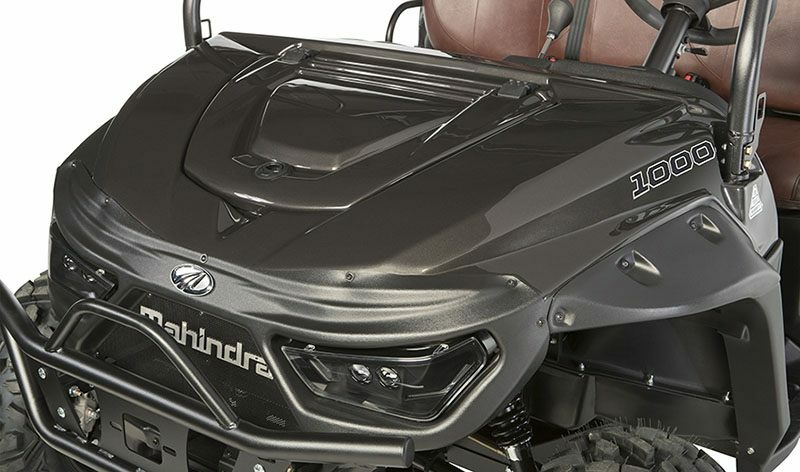 The Limited Edition 3-Passenger Mahindra Retriever 1000cc Gas Utility Vehicles impress through an attractive metallic black molded-in body combined with unique two-tone saddle tan bucket-style seating. Leading the industry in Horsepower (83) and Towing Capacity (2,500 lb. 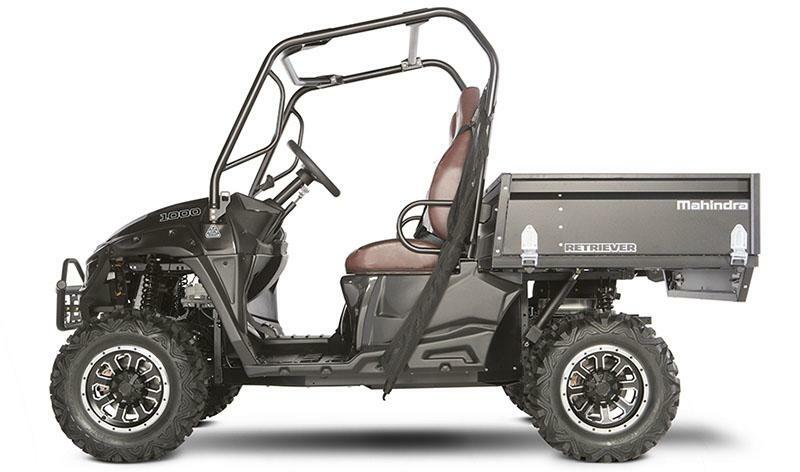 ), this 4 x 4 utility vehicle offers a heavy-duty frame, 67 lb. 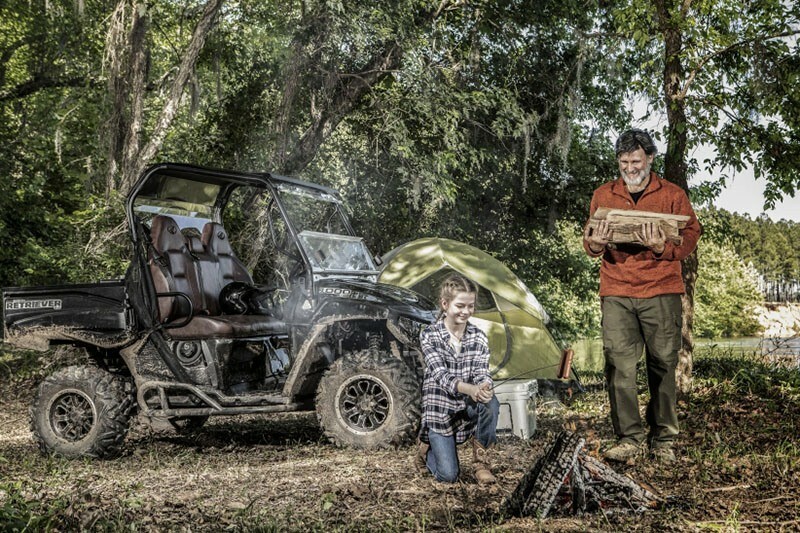 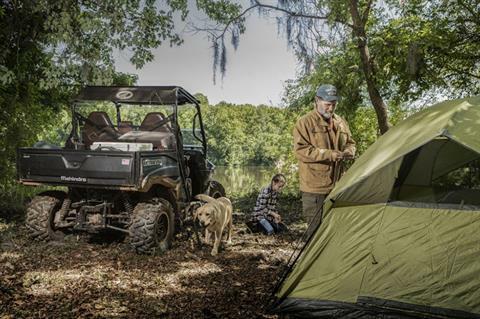 of torque, speeds up to 60 mph and a Flexhauler cargo box that allows all the sides to fold down for larger loads.